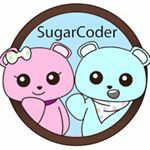 My name is Miki and I am the influencer for my brand, SugarCoder. I am in San Francisco, California. Demographic data for @sugarcoder's audience is available for free to influence.co users.